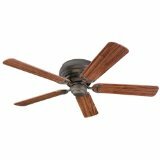 Hugger fans are designed to provide the minimum distance between the ceiling and the fan blades. 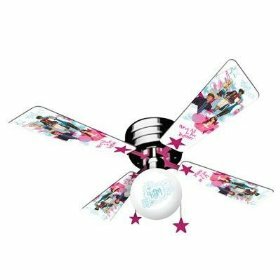 This is ideal for lower ceilings as it provides the maximum clearance between the blades (and other lower parts of the fan such as lights) and the floor. The downside is that the shorter distance between the blades and the ceiling impedes circulation to a degree. Hugger ceiling fans are less effective than regular ceiling fans regardless of ceiling height. So when is a Hugger Fan necessary? 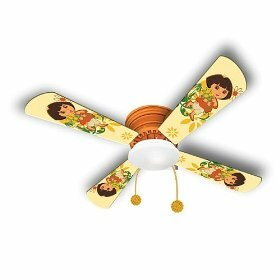 For safety reasons it is generally accepted that fan blades should be no less than 7' from the floor. Most downrod fans, with the typically included short downrod, position the blades approximately 12" from the ceiling. Therefore, downrod fans are normally used on ceilings 8' and higher. 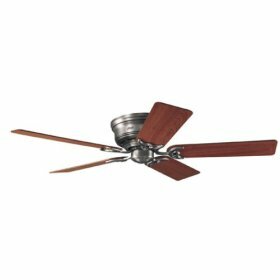 On ceilings lower than 8' one would typically use a hugger fan, in which the blades are generally 5-7" from the ceiling. Another factor is the fan's location. 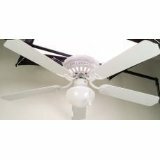 A fan positioned over a bed or table will require less floor-blades clearance than one positioned where people will be walking under it. Keep in mind also if a light will be mounted on the fan. A light kit can add 6-10" or more to the fan's total height. Lastly, many downrod fans are available with "low profile" kits and/or with a "dual mount" option. This allows the fan to be mounted with the canopy directly attached to the motor, and no downrod. In most cases this allows almost as much clearance as a hugger fan, with the blades positioned 6-10" from the ceiling. 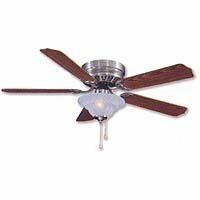 Low Profile Ceiling Fan Satin Nickel, 52"